Full-sized pattern pieces to sew up some FUN pot holders! 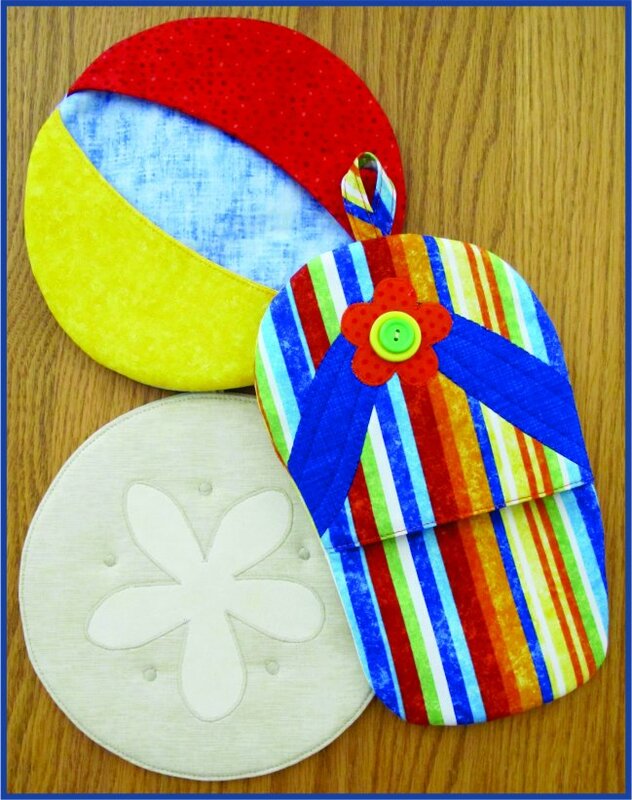 The Flip-Flop is a shoo-in for the cutest slip-on pot holder in your collection, but that’s not all that’s offered here: a simple but elegant Sand Dollar (hot pad or mug mat) and a colorful Beach Ball grabber pot holder too! Sew quick, easy and fun - makes great hostess gifts, but be sure to make some for yourself! Approximate finished sizes 6" x 9½" and 7½" diameter.Great for Summer, Beach or Nautical theme decorating. Special thanks to Angie our model!